Stella & Dot has grown to unbelievable proportions. Jessica Herrin, a Stanford School of Business graduate, had an entrepreneurial spirit which she claims she gained from her father. At 24 years old, she co-founded WeddingChannel.com which was sold and is now The Knot. Jessica had a baby, but she still maintained her entrepreneurial attitude. Idea upon idea entered her head, and she recognized that there are many other women with a similar thought pattern. They want a business challenge, but one they could manage while still being able to manage their children and everyday lives. In 2003, Jessica began designing jewelry. She held a “Trunk Show” which is a party showing off her jewelry designs and allowing attendees the opportunity to purchase pieces. In 2004 and 2005, Jessica stayed somewhat small, but kept designing and selling jewelry. She also had another baby. She started Luxe Jewels and in 2005, she had $1,000,000 in sales. Seeing a bright future, Jessica teamed up with Blythe Harris and in 2007, Stella & Dot launched. Many people wonder how the name of the company came to be. It was named after Jessica and Blythe’s Grandmothers. Using the multilevel marketing business format, Stella & Dot has been growing by leaps and bounds. In 2011, Stella & Dot was #57 in the INC fastest growing private company list. Many famous women have used the Stella & Dot line. Jessica as Chief Executive Officer, and Blythe as Chief Creative Officer have garnered a magnificent business team to compliment their business savvy. Jessica had a goal to help women and she has done a great job in achieving that goal with Stella & Dot. Using multiple resources, I have put together the top 20 Stella & Dot products. Now of course these are just my opinion. Also, I need to mention that neither I nor the Online MLM Community is affiliated in any way with Stella & Dot. I am writing this for your education. If you would like to purchase any off these products or would be interested in becoming a Stella & Dot independent distributor, you may want to search out a distributor in your local area, or visit the Stella & Dot website link at the end of this post. Let’s take a look at the top 20 Stella & Dot products. This beautiful piece is a gold plated bracelet attached to a gold plated ring with a small gold plated chain. It fits wrists from small to large and the ring can be fitted to sizes from 5 to 9. If you desire, the chain can be unattached. This bracelet looks great alone or with other bracelets. This necklace is plated in vintage gold. It shines and sparkles giving the impression that you are wearing a very expensive piece of jewelry. The necklace is 18 ½” and has a 1 1/2” extender with a fold over clasp. This elegant necklace has been a huge seller for all ages. Stella & Dot doesn’t just offer jewelry. These black framed sunglasses are handmade acetate. With a chevron detail, these sunglasses give that chic attitude. They come with a hard case and printed lens cloth. The lenses are scratch resistant and the lens color is smoke. These offer great eye protection and a look of style! These hoop earrings are a huge seller. They are 1 1/4” inch in diameter and they have small dangles that move as you move. The gold plating is a vintage and they go great with nearly any outfit. This bracelet stretches to fit any wrist. You can get this bracelet with white bronze or gold plated spikes, and it comes with black diamond pave beads. It comes in gold or silver. This bracelet goes great as a stand alone piece or with other bracelets surrounding it. The watch band is made of leather and calf hair. It has a mother of pearl watch face with super quality quartz movement. This watch will fit small to large wrists. The length of the band is 8 1/2” and can be exchanged for either the double wrap strap in latte or black perf, which are sold separate. These unique designed totes come in blush and black. The laser cut designs give a stylish look and the tote comes with a linen pouch that has a gold logo plaque. The tote is 13” high and 15 1/2” long. The pouch measures 8 1/2” high by 10.8” long. These smoky quartz stones are set in gold plating giving you an elegant drop earring. The ear wire is brass and the length of the drop is 1 ¾”. This ring can have your special touch. It is made of brass and plated with gold. You choose what you want engraved and the price includes the engraving. You also receive a ring pouch. These rings come in sizes of 5 to 9. Now all you need to do is decide what your engraved design will be. This silver plated bracelet is absolutely stunning. The vintage design looks great alone or some women combine it with the Stella & Dot Vintage Crystal Bracelet for extra pizazz. It fits wrists from small to large. The length is 6 3/4” and comes with 2 – 1 1/2” extenders. This magnificent necklace is reversible. It has a leather collar and the first side is a mix of neutral colored metals. When you flip the necklace, it shows a wonderful cobalt blue color. They detailed this necklace with a lobster clasp. The necklace is 15” and comes with a 3” extender. This pack comes with 2 sets of studs. One is a shiny gold, and the other are jet black. These studs are very lightweight and have titanium posts. Several layers make up this simple but elegantly designed cuff. It will adjust to fit most wrists from small to large. It is vintage gold plating. This cuff goes well with other bracelets or as a stand alone piece. This classy scarf has a tribal design and can be wore in a variety of ways. It is 100% rayon, and because of the printing system, variations occur. That will mean you will have a one of a kind; no one will have the exact same design. These come at a 38” by 70” size. Is a different color combination your desire? This bracelet not only is a wonderful piece to wear, it supports a great cause. It is a gold plated brass bar that is on top of an orange leather band. Stella & Dot will donate net proceeds on eligible Enlighten Bracelet purchases to the non-profit Every Mother Counts. Every Mother Counts funds and supports maternal health programs worldwide. Stella & Dot also supports many other good causes; I will tell you more towards the end of this post. These neat little charm bracelets come in either gold or silver plating. They come with a Stella & Dot charm to start, but every 2nd link has a hidden hinge so you can add charms and more. 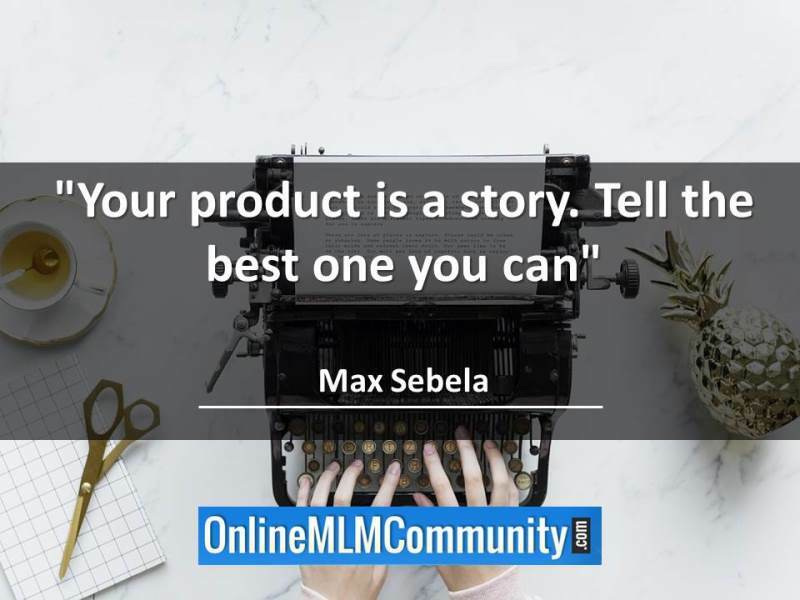 It is a great way to tell your story in a simple and unique way. You can add or remove links easily so the bracelet will fit small or large wrists. This necklace was designed to add a splash of color to your wardrobe. The 30” vintage gold plated necklace comes to a tassel of red and white beads. While the design seems simple, the appeal will bring a smile out of faces that normally would not have cracked a grin. This necklace will not only motivate you but will motivate others. When the Stella & Dot executives traveled to France, they viewed some of the artisan jewelry that is sold on street corners and in markets. They came upon a beautiful ring that inspired them to design this ring. It has drawn many sales since it was listed not too long ago. Made with vintage gold plating, the Hazel Ring will match nearly any outfit and occasion. This multi ikat print jewelry box comes with 2 removable trays. The interior is a white and mint, and the fabric is easily cleaned. It measures 3” high and 6 5/8” long with a 4 5/8” depth. So it is a great piece to keep on your dresser with your jewelry, and when you travel, simply put it in and you have your jewelry with you. No more forgetting that certain piece you wanted to wear. You will have your favorite Stella & Dot jewelry with you no matter where you are traveling too. Just as #3, this Hazel Statement Necklace came from the same idea as the Hazel Ring. And, it does make a statement! It is made with vintage gold plating and has a fold over clasp enclosure. This popular necklace measure 16 1/2” and comes with a 3” extender. This necklace along with the ring would make a wonderful gift or that special woman or for yourself. As you can plainly see, Stella & Dot has a wide variety of women’s jewelry and adornments. But do not just stop with these top products. I suggest you browse their complete selection. 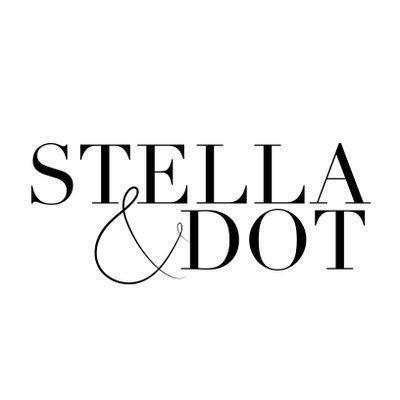 Stella & Dot are always designing and adding new products, so you will want to keep abreast of new additions in their extensive product base. Stella & Dot are also focused on their customers. As such, if you are not satisfied with your purchase, you can return for a refund within 30 days or a store credit within 90 days. Also, there is a Stella & Dot Foundation. It was established in 2010, and the company is partnered with Every Mother Counts as mentioned earlier. They also donate to Autism Awareness Month, Breast Cancer Awareness Month along with supporting military families in November with a Buy 1 and Gift 1 program. The Stella & Dot mission reads: To give every woman the means to style her own life. I know that in researching this article, I have been quite inspired by the entrepreneurial skills of Jessica and Blythe. I have viewed many reviews of the Stella & Dot products and customer service. Plus, I find that the largest percentage are quite positive. Many women are now wearing Stella & Dot jewelry and also are making a good living sharing the products and opportunity through Trunk Shows. So let’s hear your Stella & Dot testimonials. Tell us what your favorite product or products are. If you are an independent Stella & Dot representative, we would love to hear about your experience with this MLM company. You can post all comments and questions in the section below. If you are interested in attaining any of these or other Stella & Dot products or in becoming an independent representative with Stella & Dot, you can visit their website here. Disclaimer: The Online MLM Community is not affiliated in any way with Stella & Dot. We are providing this information for your education and knowledge.